At the heart of this system is the Phantom Commercial DE Ballast. It is designed with a high precision microprocessor that makes it highly efficient and extremely reliable. It is totally silent and lightweight. Its USB interface enables connection with the Autopilot PX1 Digital Lighting Controller (APDPX1). 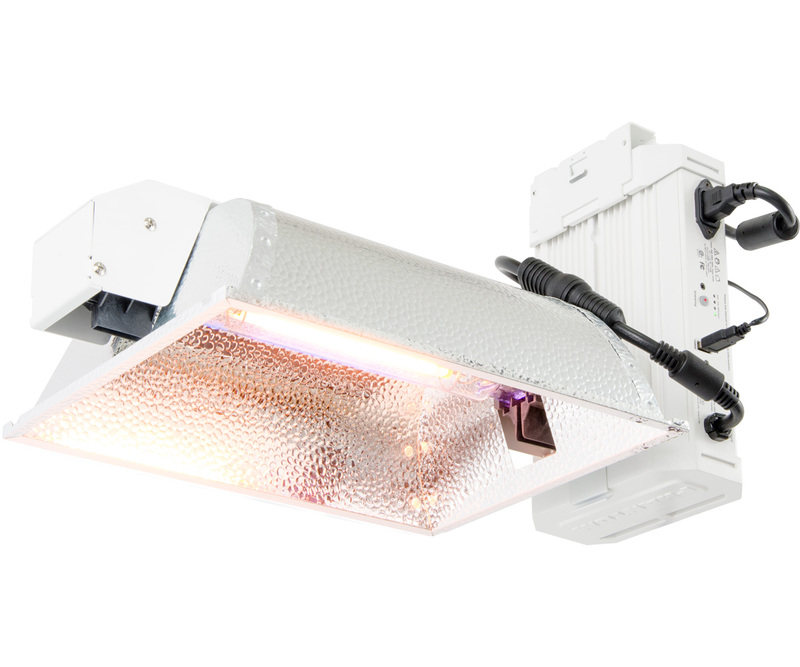 The PX1 provides centralized, dual-zone digital control of your DE lighting, allowing you to switch, dim and boost multiple (USB-compatible) Hydrofarm ballasts at once-up to 256 in each of two independent zones for a total capacity of 512 ballasts. 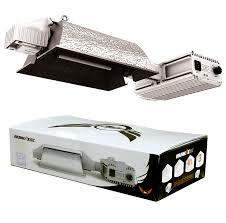 The ballast model included in this system, PHB4010, is capable of multi-voltage operation (120V/208V/240V). It is generator ready, FCC-compliant, and comes with USB to RJ12 cable, RJ12 to RJ12 cable, RJ12 splitter, an 8-foot power cord, and instructions. 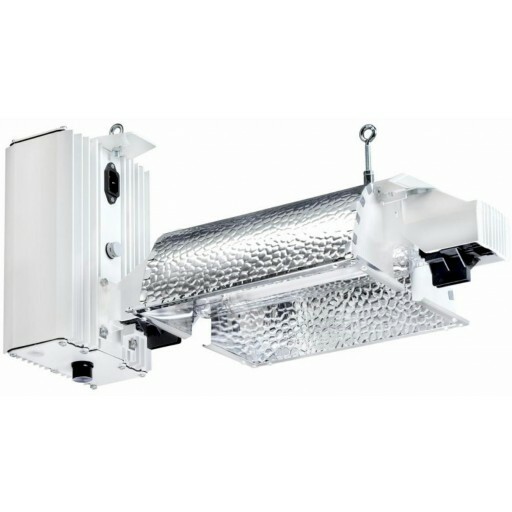 Rounding out this kit are our DE1000Zh Enclosed reflector and a European-made premium DE lamp with a rated PAR output of 2100 µmol.